Out on my long run yesterday, I found myself reflecting. This time last year it looked like running distances over half marathons runs were no longer an option, but after a month or two of drastically reduced mileage, I was still in pain with my back, and miserable too. Sack this! Yoga, strength work and really steady mileage and endurance build – either that or go mad! It paid off and in the end 2018 was actually pretty ace. 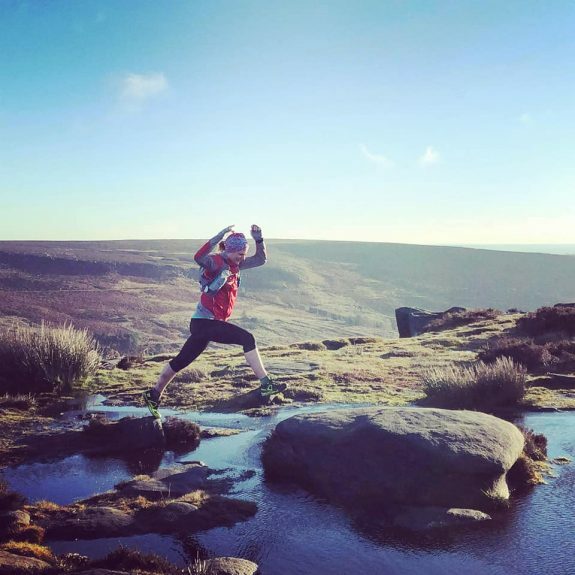 I achieved 3rd place female at the LadyBower Trail Marathon in June, entering trail races ‘for fun’ and really enjoying them and challenging myself to events and runs outside my comfort zone. I ran some technical fell races, ran in wild terrain, and even requiring nav skills. Okay, I didn’t place in every race I entered, but that doesn’t matter. I learned loads, about myself and running. I can do it. It’s easy to stay in your comfort zone – the hard part is being humble, having a go and having the courage to fail. The best bit of all this? Well, I blooming loved every minute of it. I’m proud of what I did, chuffed I braved some challenging courses and with the results. This entry was posted in Team Accelerate, Training & Racing and tagged Accelerate, Fell Running, running made easy, trail running, Ultra Running. Bookmark the permalink.